For both Irish and international lovers of fashion, Brown Thomas has long been established as a landmark destination – it proudly takes its place on the international stage of luxury retailing. There are four Irish department stores located in Dublin, Cork, Galway and Limerick. Brown Thomas is part of a global retail family that attracts the best luxury brands and the most innovative designers. 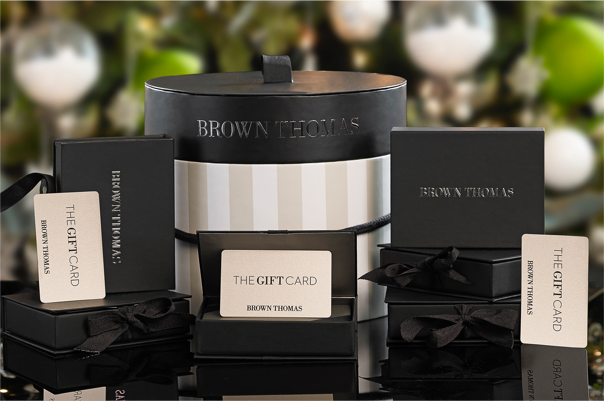 Featuring the world's most prestigious luxury boutiques. Brown Thomas has achieved pre-eminent status, a store that is listed among the best in the world, yet one that remains quintessentially Irish. 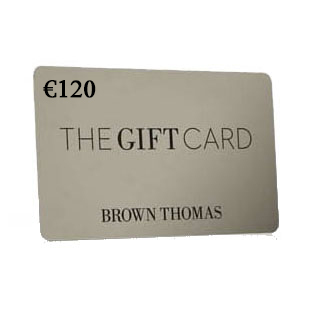 Brown Thomas Gift Cards are posted out free of charge, normally within 5 working days.